Timing : 9:00 a.m. to 10:30 a.m.Parents are requested to drop their ward along with water bottle and light breakfast only. New Session (2019 - 20) for Classes UKG to Std IX is schedule from 1st April 2019. Std XI (Science & Commerce Stream) Registration forms are available at School office counter. Selection list for Std XI (Science & Commerce Stream) will be declared on 03/04/2019 at 3:00 p.m.
© Surajmull Jain D.A.V. 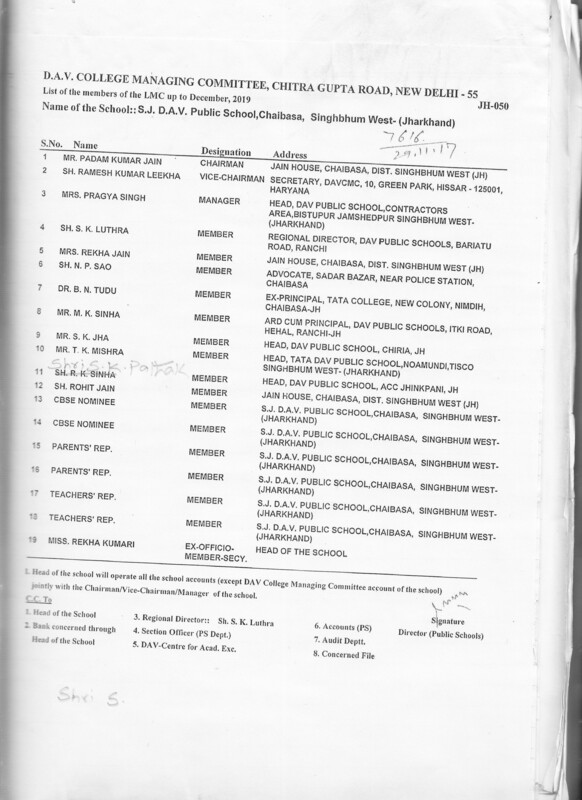 Public School, Tata Roda Khapparsai, Chibasa singhbhum West, Jharkhand - 833201. All rights reserved.